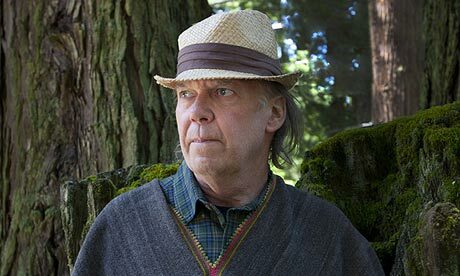 Neil Young is moving forward with his plans for a "high-resolution" music service, filing two new trademarks for marketing slogans. In addition to his previous trademark applications, Young has now asked for the rights to two more phrases, 21st Century Digital and Pono Promise, both linked to the singer's forthcoming Pono audio system. According to the United States patent and trademark office (via Rolling Stone), Young has taken out eight different trademarks for Pono: Pono Promise, 21st Century Listening, Earth Storage, Thanks for Listening, Storage Shed, 21st Century Record Player, Ivanhoe and SQS. SQS stands for Studio Quality Sound, while Ivanhoe is the name of the singer's holding company. The two latest filings are already displayed as slogans on Young's Pono website. The site explains that "pono" is "the Hawaiian word for righteous" and that the technology "lets you 'feel the soul of the music'". Young's trademark applications specify that the terms can be used on audio paraphernalia, for everything from microphones to CDs to MP3 players. Despite bold talk about Pono's audio fidelity, details of Young's project remain closely guarded. It's not clear how his system improves on existing technology such as FLAC or SACD, or whether it will be compatible with the world's most popular portable music player, the iPod. Though Young had been in discussions with Steve Jobs before the Apple CEO's death, the singer has said he now plans to "force iTunes to be better". It's not even clear whether Young's focus is on hardware or software. Is the company designing amplifiers, playback devices and studio equipment, as the new trademark applications suggest, or filetypes and apps? Or both? In September, Young told David Letterman he was "negotiating with Sony" about converting albums including Bob Dylan's Highway 61 Revisited to the Pono system. And the company's "Earth Storage" slogan is a clear riff on – and alternative to – cloud technology. Whatever it turns out to be, Young hopes to launch Pono next summer,according to a recent tweet.